Questions about Kichler Lighting 45038CH? 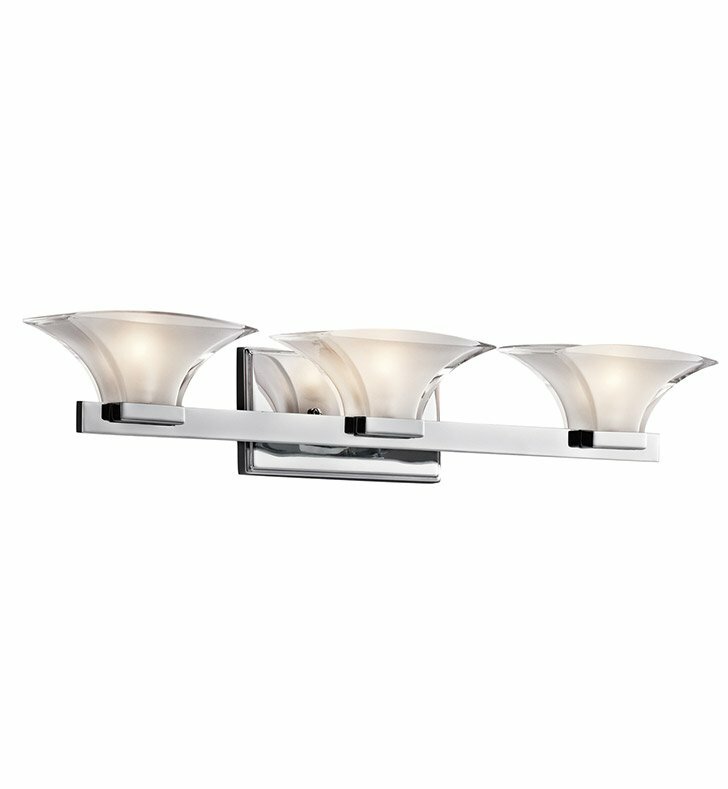 This 3 light wall fixture from the savvy Tulare collection creates an intriguing visual accent. Dramatically flared inverted pedants of Polished Clear Glass and Inside Etched Glass form full, well-dispersed light to perfectly complement the Polished Chrome Finish. This design will lend any bathroom or vanity lustrous light. Dimensions: H 5 3/4" W 28"